Planning project-based learning around three core strategies helps all students get what they need. Yet I sometimes run into teachers and administrators who question whether PBL can be used successfully with all students, which ultimately brings up a question of equity. We know that PBL can be a powerful tool to eliminate achievement gaps and help students of all backgrounds develop critical 21st-century learning skills that prepare them to thrive. But how do we ensure that PBL is accessible to all learners? The following three strategies, highlighted by Eric Jensen in Teaching with Poverty in Mind, can help in introducing rigorous content when implementing PBL. While Jensen’s work focuses on working with students living in poverty, these strategies can benefit all students. Jensen points out that when teachers believe students can do well, students perform better—and when teachers believe students have deficits, they tend to perform poorly. In the context of PBL, this translates into designing rigorous PBL units and communicating to all students that we believe they can succeed. Ultimately, the goal is to lead students to believe in themselves. 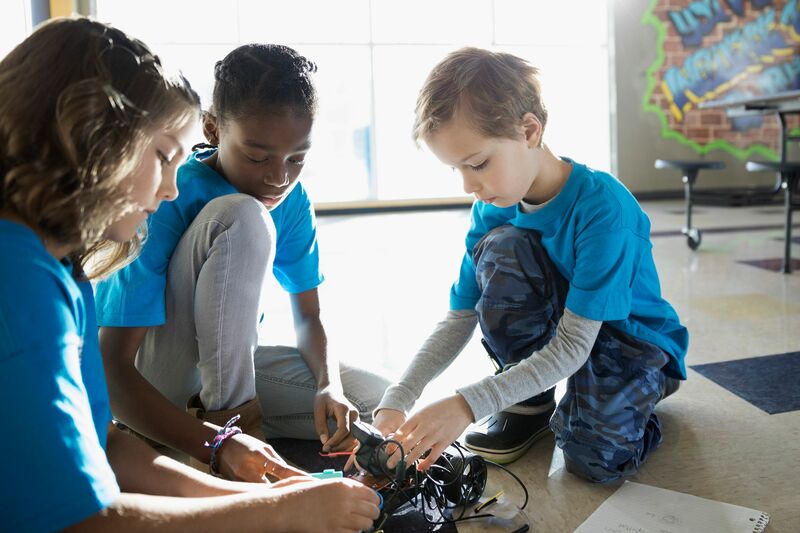 Rigorous PBL involves projects that are designed around engaging topics and driving questions that compel students to dig deep during the process of inquiry, and to think critically about issues and big ideas. In some cases, rigorous PBL units may seem daunting to students who otherwise struggle academically. Leading these students to believe they can succeed often involves strategic scaffolding of content, skills, and processes within the PBL experience. It may also mean using differentiation strategies to support student success. In all cases, it includes the use of formative assessment so that teachers and learners identify and address gaps in understanding throughout the PBL experience. PBL is highly collaborative, and relationship building is critical to establishing a classroom culture where collaboration flourishes. Jensen notes, however, that intentional relationship building is even more important for students in poverty since poverty can hinder healthy relationship development. He also points out that it’s not just teacher-student relationships that matter—student-student and teacher-teacher relationships are also critical in establishing a culture where all students thrive. The schools and classrooms where I’ve seen the strongest relationship-based cultures are ones where students have input on establishing norms and processes, where team building happens throughout the year so that students and teachers know each other well, and, on the teacher level, where teachers have regular opportunities to collaborate to design meaningful PBL experiences for students and discuss student supports. Making sure students feel known is an especially important aspect of relationship building. According to Jensen, one of the best ways to engage students raised in poverty is to provide them with “instruction that includes them and their interests” and then to let them take charge of their learning. While PBL is designed to do exactly this, not all PBL is created equal. High-quality PBL focuses on challenging problems and issues that students find compelling, and emphasizes student voice and choice in project design and implementation. The most powerful PBL I have experienced takes relevance and student voice even further by engaging students in action projects where they investigate and address critical problems in their communities and around the world. This approach can be especially empowering when it incorporates service learning, an approach to teaching and learning that aligns well with PBL (see the K-12 Service-Learning Standards for Quality Practice). The National Action Civics Collaborative is a great starting point for looking at examples of meaningful PBL projects. These projects not only engage students but empower them to make a positive impact on their community and the world beyond their classroom. By planning PBL experiences around these core strategies, we can help all students, regardless of their background, get what they need to access and experience the true power of PBL.